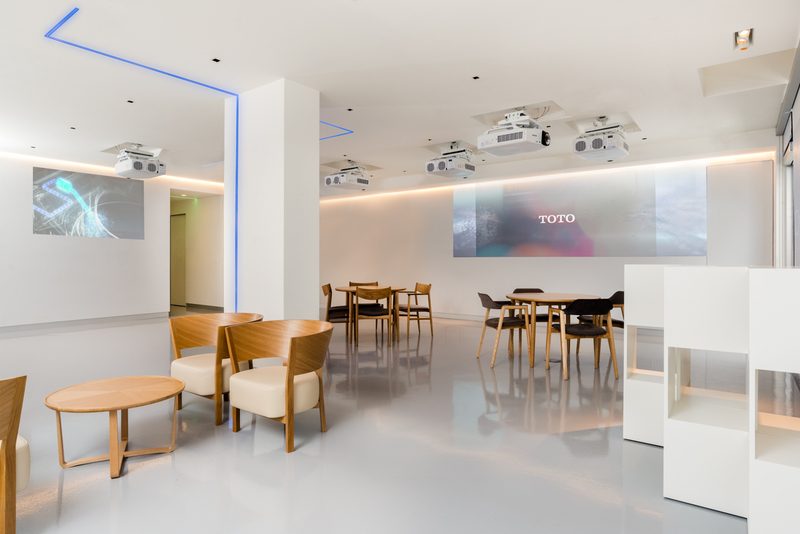 The TOTO showroom program consisted of washlet displays, restrooms with modern luxury products and an ultimate flexible “museum-style” space that will accommodate different events. 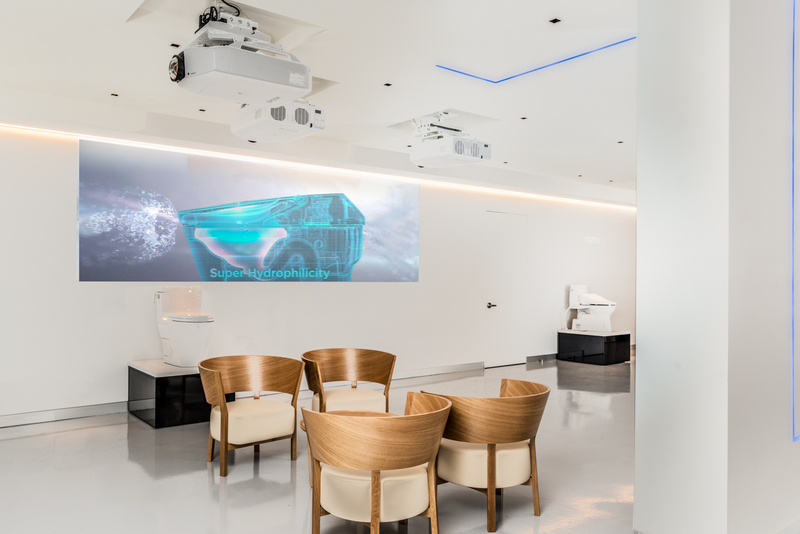 The washlet display units were designed as working, flushable and movable units to accommodate the event needs. 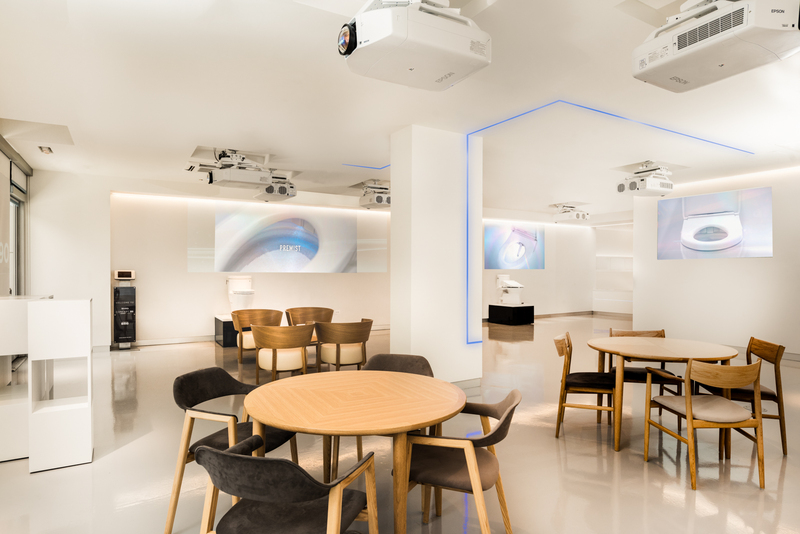 The interior details, neutral materials palette and short-throw projectors were designed coherently for projection mapping video and product display. 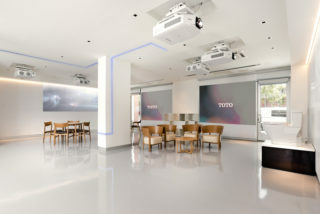 Advance lighting and video systems were integrated as part of the comprehensive design solution. 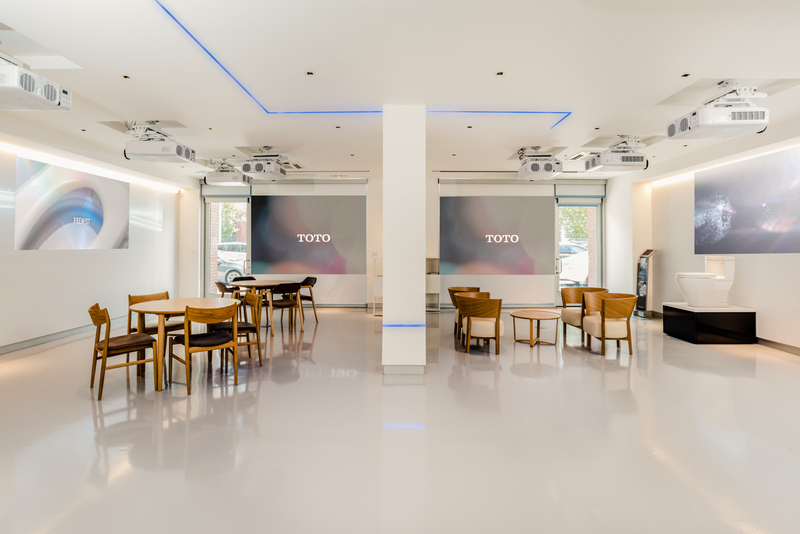 This showroom offers a unique experience to its occupants and a way to coalesce with the modern luxury of TOTO washlet products.